The Essteele Per Sempre 18cm/ 2.8L covered saucepan combines premium quality materials with world renowned Italian engineering to create beautiful, chef-choice cookware. The thick, fast-heating core allows the pan to heat the base and all the way up the sides simultaneously, giving this cookware perfect heat control and optimum performance. This 18cm saucepan is perfect for sauces, steaming vegetables and so much more. 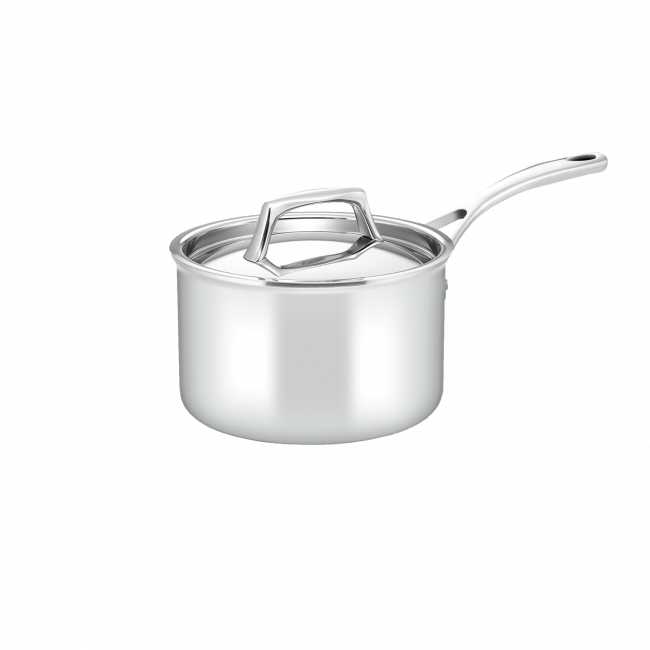 Essteele Per Sempre 18cm/2.8L Covered Saucepan is rated 5.0 out of 5 by 3.